“Rocker’s vision stands in opposition to all of the dominant tendencies in modern social and political thought. As he recognised and explained with great clarity, all of these tendencies destroy ‘the impulse to self-help, by inoculating people with the ruinous delusion that salvation always comes from above’, not from their own conscious understanding and constructive work in ‘creating the living germs of the new society‘, in Bakunin’s words. Dominant currents, understandably enough, aim at subordination of the public. It is unnecessary to dwell on the so-called ‘socialist’ states or the Marxist-Leninist movements. Within the industrial democracies, a similar conception is firmly rooted among elite groups, whatever their political persuasion, and is often quite clearly articulated. The role of the public is to ratify decisions taken elsewhere, to adopt the doctrines prepared for them by their superiors, and in general to observe passively while performing their duty. Not all would express this understanding with the clarity of Juan Bravo Murillo, whom Rocker quotes (p. 118), but his words in fact capture prevailing elite conceptions, accurately if crudely. “In Rocker’s radically different conception, people must take their lives and their work into their own hands. Only through their own struggle for liberation will ordinary people come to comprehend their true nature, suppressed and distorted within institutional structures designed to assure obedience and subordination. Only in this way will people develop more humane ethical standards, ‘a new sense of right’, ‘the consciousness of their strength and their importance as a social factor in the life of their time’ and of their capacity to realise the strivings of their ‘inmost nature’. Such direct engagement in the work of social reconstruction is a prerequisite for coming to perceive this ‘inmost nature’ and is the indispensable foundation upon which it can flourish. “Rocker surveys the development of these ideas and the struggle to achieve them, and illuminates their fundamental significance. His approach is far from ‘Utopian’; this is not an abstract discourse, but a guide to action, drawing from the lessons of past failures and successes. 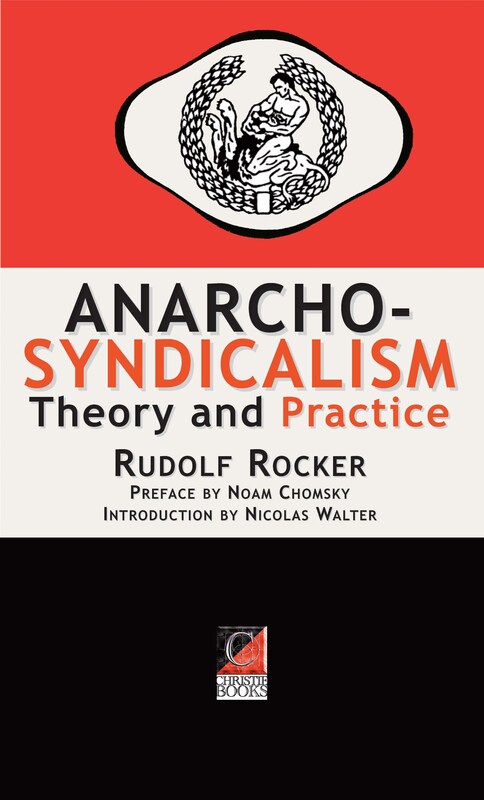 Like other serious anarchists, Rocker ‘rejects all absolute schemes and concepts’ and appreciates that we can set no ‘definite final goals for human development’, but can only contemplate ‘an unlimited perfectibility of social arrangements and human living conditions, which are always straining after higher forms of expression’, based on new understanding, new insight. The lessons of history teach us a good deal, but nothing more clearly than the fact that we often remain quite unaware of the forms of oppression of which we are victims, or sometimes agents, until social struggle liberates our consciousness and understanding.